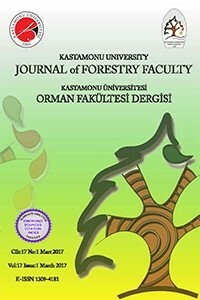 Kastamonu University Journal of Forestry Faculty is an online, open access, and international double blind peer-reviewed research journal founded in 2001. The subjects covered by our journal include all aspects of forestry, wood science and technology, wildlife ecology and management. Our journal publishes three volumes per year (March-September-December), and publishes full-length original research papers as well as review articles from all over the world. Starting from the second issue of 2017, only the papers written in English are published in our journal. We are pleased to announce that our journal “Kastamonu University Journal of Forestry Faculty” has been accepted for indexing in the Emerging Sources Citation Index (ESCI) within Clarivate Analytics’ (formerly Thomson Reuters’) Web of Science, starting from the first issue in 2017.